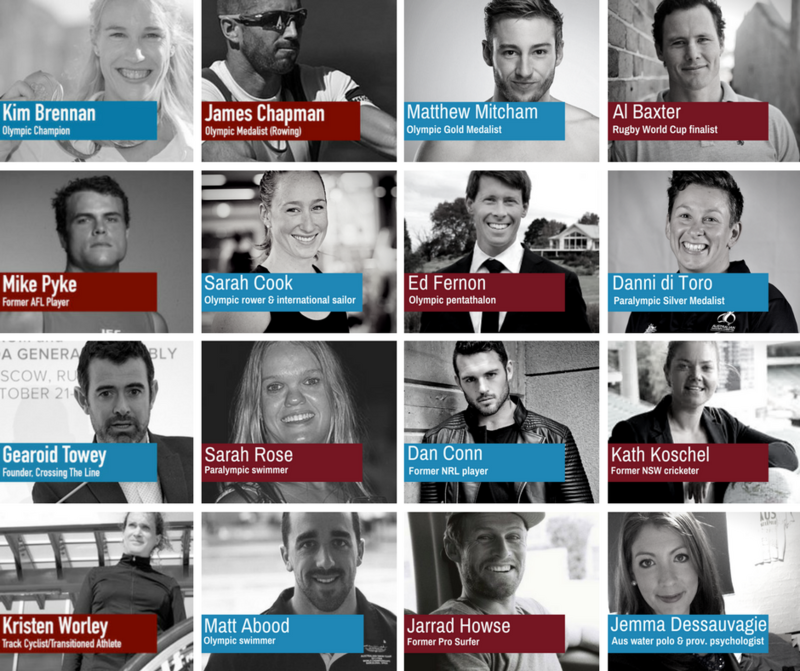 Since our first Sydney Summit in February 2017, a huge number of current and former athletes spoke out about the mental and practical challenges they face, making the need for further Summits clear. On Friday 10 November 2017, we were joined by current and former athletes, and a variety of sporting experts, for a deeper dive into mental health, identity and why athletes need dual pathways. With empowering panels and hands-on workshops, the Summit was packed with actionable insights and practical information, opportunities and tools. Why sound mental health is so important in the sporting world. The importance of creating a culture within your sporting organisation that embraces mental health awareness. How to create a stigma-free environment for athletes, where sound mental health is seen as a key part of being an excellent athlete, a well-rounded human an enabler of a smoother transition. Who am I, without my sport? Athlete identity crisis: the mental and emotional effects of retirement – why loss of identity is an issue and what can be done. How to find an identity away from sport by discovering passion and purpose, from athletes who have achieved that. Why it’s important to build a ‘dual pathway’. Duty of care: what responsibility do sporting bodies have to facilitate dual pathways/identity outside of sport? The day included three workshops running concurrently in the morning and three running concurrently in the afternoon. Attendees picked the workshops that most suited their interests or area of expertise. There were takeaways from each workshop at the end of the event for all attendees. How to create a culture of mental health awareness in your team or sporting organisation. Where to start. What tools to use. How to reduce the stigma. How to identify and assist athletes with addiction issues on your team, and create a safe environment for athletes. How to create and manage a personal brand online in an effective and mentally healthy way. Discovering your passion and purpose: why and how athletes can identify what excites them outside sport, and build a dual identity. How transferable skills, such as commitment, dedication, goal setting, focus, can be used in the corporate world. How to develop effective networking, communication and interviewing skills. Strategies for managing your finances during and after your sporting career. 1.30-2.30 Panel: Who am I, without my sport? 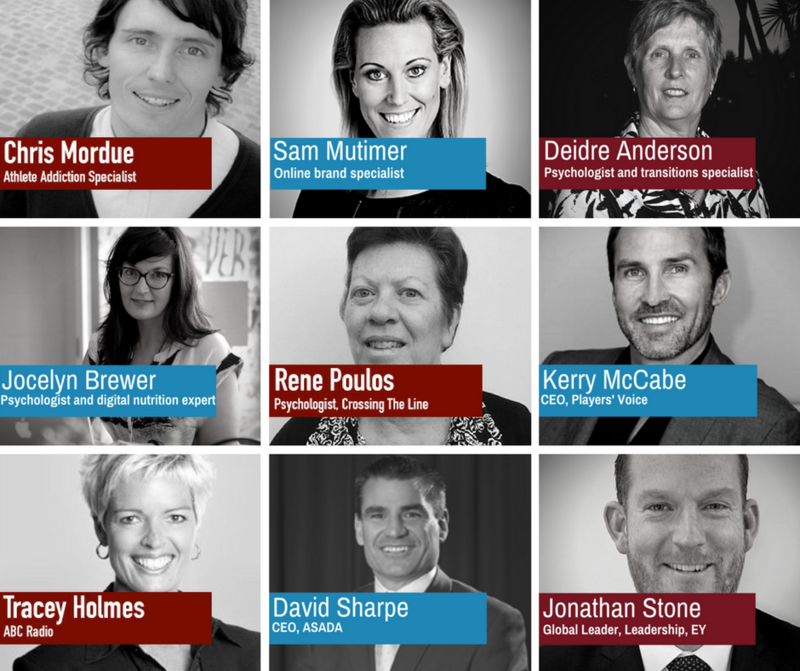 2.30-2.40 The lowdown on… Digital nutrition: how to embrace social media without losing your mind!